Despite its longevity and popularity, its origins are unclear..... One thing that seems to be agreed however is that it is not from Switzerland. But who cares where it came from? The appeal of the spiral sponge is universal and it appears that no matter where you live in the world, there is a local variation.... Filled with jams made with local fruits and given a different name maybe, but the principle of the cylindrical cake, which has been slathered in preserves or spreads and then rolled to produce a whirly pattern when you cut through it, remains the same. I have been meaning to develop a decent Swiss Roll recipe for ages. With 'spare' time seeming to be ever more difficult to find, it is one sponge which can be whipped up double quick, not least because it needs next to no time in the oven. Indeed, it is essential that it doesn't bake too long..... a dry, over-baked sponge is a pig to roll and is likely to be covered in cracks and crevices that would rival the Rift Valley. The base sponge can be left to cool rolled up unfilled, but layered with baking paper or a clean tea towel whilst you get on with more pressing demands on your time (are there any more pressing demands than cake? 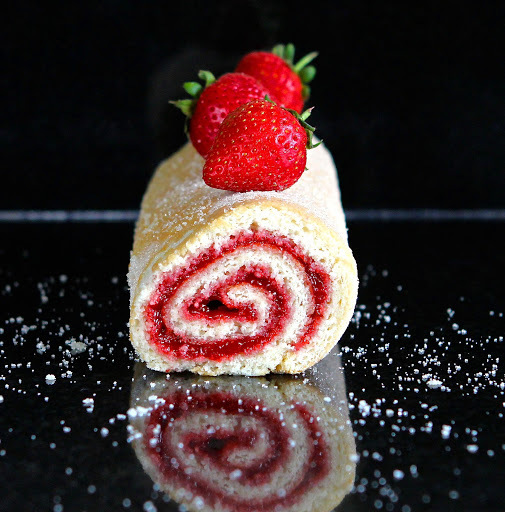 I hear you ask)..... Then, when you are ready, you can quickly unroll and fill with anything from jam or curd to frosting or cream (you can even throw in some fruit for good measure)..... roll up again and job done! If you are going for a simple jam filling, don't be mean with it! There is nothing worse than a Swiss Roll that diddles you on the sticky, juicy bit. I filled my large jam roll with home made Strawberry, Rhubarb and Pomegranate Jam.... yum! The beauty of this sponge is that it is also completely dairy free. There isn't even any need to make substitutions for fat, because the sponge recipe is fatless. That makes it perfect for all those gluten and dairy intolerant people out there.... especially if you fill it with jam and fruit. I also tried my hand at making some mini rolls with the mix, which I filled with pink frosting made with a dairy free sunflower spread (made by Pure Dairy Free). I tried making them with a double layer of jam and frosting, but they were too full to roll properly, so the second time I mixed the jam with the frosting which tasted just as great, but was far less fiddly (and messy)! So far so good though..... The cake is light and moist, shot through with the flavour of vanilla and stays fresh for several days after making. Most importantly..... it rolls superbly and looks so pretty with its spirally spinning-top filling contrasting against the pale sponge. I have another team meeting tomorrow....... Let's see what they make of this offering! 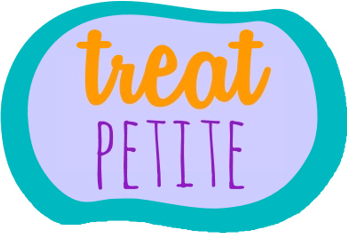 Treat Petite, this month with Cakeyboi (in conjunction with Kat, The Baking Explorer). This month anything goes..... My mini rolls filled with jammy frosting have gone down particularly well with my daughter and her friends. Love Cake with Jibber Jabber, who has gone 'Back to Basics' this month. Swiss Roll was one of the first cakes I ever made (it was a requirement on the school cookery curriculum way back in the (Sssshhh!) 70's), but I have never made it gluten free. I am really chuffed with this recipe and think it is as reliable and delicious as any glutenous version I have tasted. Alphabakes with The More Than Occasional Baker (and Caroline Makes). This month 'J' is on the menu.... Jam is central to any Swiss Roll (of the non-chocolate kind) and this one contains plenty of my very own home made Strawberry, Rhubarb and Pomegranate jam. Credit Crunch Munch with Helen at Fuss Free Flavours and Fab Food For All. 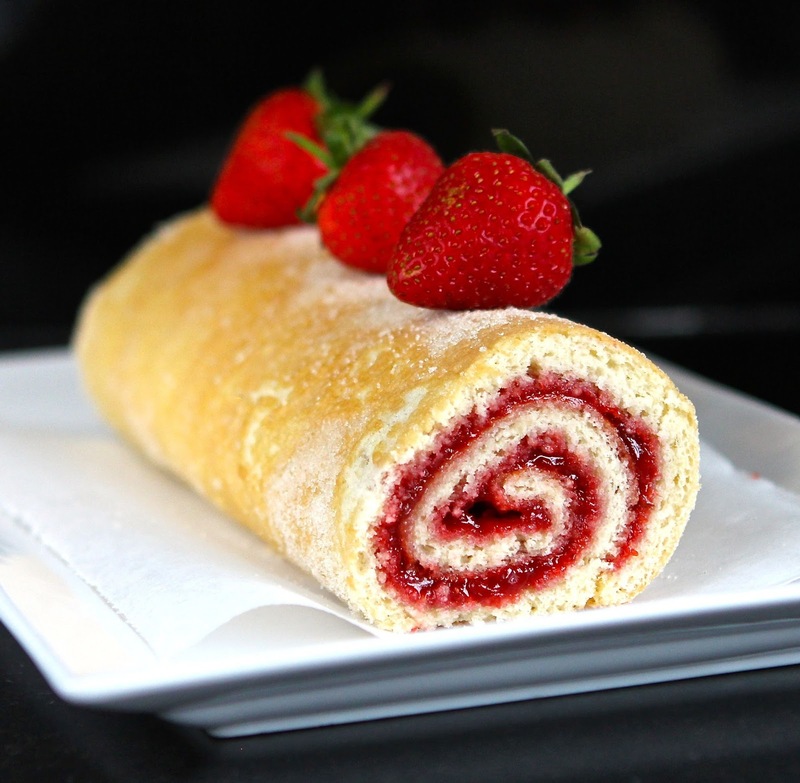 Swiss Roll must be one of the cheapest cakes there is to make, even with gluten free ingredients! 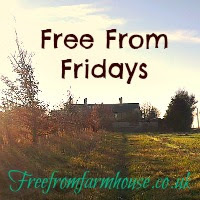 Free From Fridays with the Free From Farmhouse. This recipe is both gluten and dairy free. 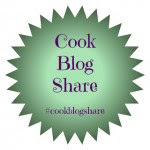 Cook Blog Share with Snap Happy Bakes. 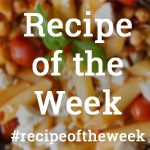 Recipe of the Week with A Mummy Too. And finally.... Simply Eggcellent with Dom over at Belleau Kitchen. September's theme is 'Cakes' (like I need any encouragement for that one!). Eggs are fundamental to baking a Swiss Roll and with four beautiful large free range ones, this cake needs to be shared! Alternatively : Just use your favourite jam only to fill the roll. 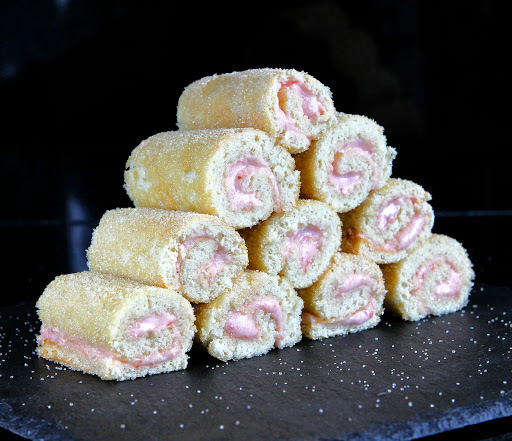 Line an approx 9 inch (23 cm) x 13 inch (33 cm) - for a large roll or 17 inch (43 cm) by 11 inch (28 cm) - for mini rolls) swiss roll tin with non-stick baking parchment. Weigh and mix together the flour, almonds and xanthan gum, making sure any lumps are completely broken down. In a large bowl, whisk the sugar with the eggs until thick and pale and so that the mixture leaves a trail across the top when drizzled. Add the vanilla extract and whisk again to combine. Add and fold in the flour, followed by the almond milk very carefully to be sure you keep as much air as possible in the mixture. Pour the batter into the baking tin and gently tilt and spread to ensure an even layer which reaches into the corners. Bake for 8 to 10 minutes until golden and the top springs back to the touch. Whilst in the oven, prepare a large sheet of baking paper by generously sprinkling with caster sugar. When the sponge comes out of the oven, tip onto the sugared baking paper whilst hot and carefully peel off the baking paper from the underside. If you are making a large roll, score a line down the edge (about 2 cm in) of one of the short sides. Roll from the score line as tightly as possible, folding the baking paper into the roll, so that it forms a layer between the sponge as it rolls. Set aside to cool completely. This process will help to give the sponge a 'memory' and help prevent later cracking. If you are making mini rolls, immediately cut the sponge into 4 rectangles and follow the same process as above : Score a line down the edge of a long side on each of the sponges. Roll from the score line as tightly as possible, folding the baking paper into the roll, so that it forms a layer between the sponge as it rolls. Set aside to cool completely. Whilst the sponge is cooling, make the frosting filling (if you are using) : Beat the vegetable spread/butter until soft and then gradually add the icing sugar, vanilla extract and jam a little at a time until you have a firm, but spreadable mixture. You may prefer to make a vanilla frosting and spread the jam separately with a layer of frosting on top before you roll. This will work better for a large swiss roll (I found it made the filling too thick when I did this for mini rolls and reverted to mixing the jam in with the frosting for flavour, but ease of use). Or you may just want to spread straight jam in the roll before rolling (and leave out the frosting altogether). When the sponges are cold, unroll and spread your filling across the whole surface, leaving an uncovered thin line on the edge of each of the long sides. 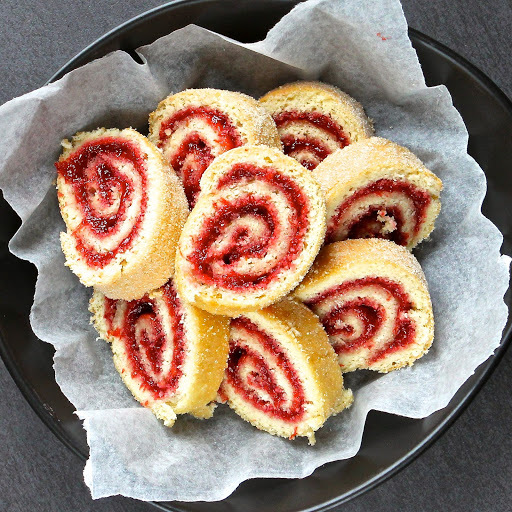 With the help of the baking paper, re-roll the swiss roll/mini rolls with the filling inside as tightly as possible and squeeze the final edge slightly to seal. Trim the edges to reveal your swirl! Oh my Kate, your Swiss roll is a thing of true beauty. I wish we'd learnt to make them in school. I've never managed to get a decent roll, always tastes fantastic, but always messy. I'm not sure even Dom's rolls are quite as good as this and his are legendary. He may, of course, never speak to me again after this! Thanks Camilla. You're more than welcome! Oh my gosh...you kill me with your wonderful recipes that I can't eat!!!!! This one looks incredible. I love the photos...they make me want to grab it and stuff it in my mouth! And that jam...WOW! I think you need to share that recipe too...sounds rather special. Hope you are well? Sorry Vicki! But thank you too! It must be really hard for you seeing all the tempting bakes people post. So busy with new term and new job, I have been struggling to fit everything in! Love how many swirls you got into it - that's a proper spiral right there! Thanks Stuart.... I did think about covering them in chocolate, but I ended up spending too much time trying to perfect the sponge and in the end couldn't be bothered!!! Oh well..... there's always next time! Absolutely beautiful rolls. I can never get mine to look pretty. Love the sound of your homemade jam too. Thanks for entering AlphaBakes. Thanks Ros. The home made jam was good too..... I really should have blogged it..... Maybe I will get round to taking a camera to the last jar! This is something I would love to try - it looks so pretty. Do you score the line before rolling to help it start rolling? Thanks Johanna. It is probably one of the most successful swiss rolls I have ever made! Let me know if you try. Wow this looks so beautifully made. In the 80s in Italy at every children's birthday party there was always a plate of sliced swiss roll, but the industrial version of it which I thought it tasted awful. (yes even in Italy there was plenty of junk food in the 80s). When I started making my own I realized it was a completely different cake. So light, soft and delicious. Yours is so pretty too! Awww thanks Alida. I think it was the same in the UK, but once the commercial swiss rolls took hold, they went seriously down hill! I made a Swiss Roll a couple of years ago and it took me two attempts to get it right! Yours looks so perfect that I'm tempted to try making one again. Thanks Ness. 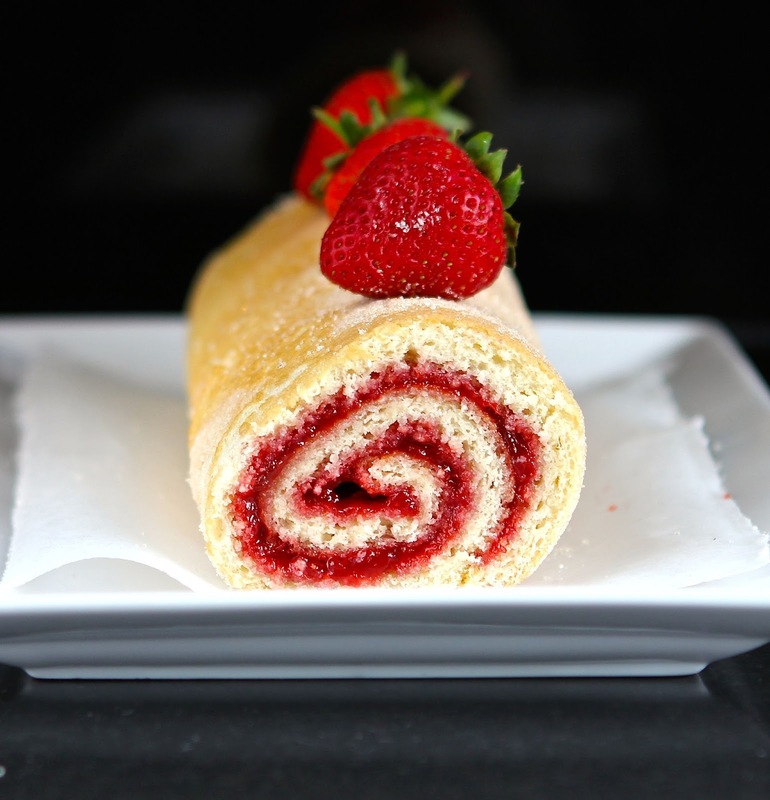 There is something very rewarding about achieving a well-swirled Swiss Roll! 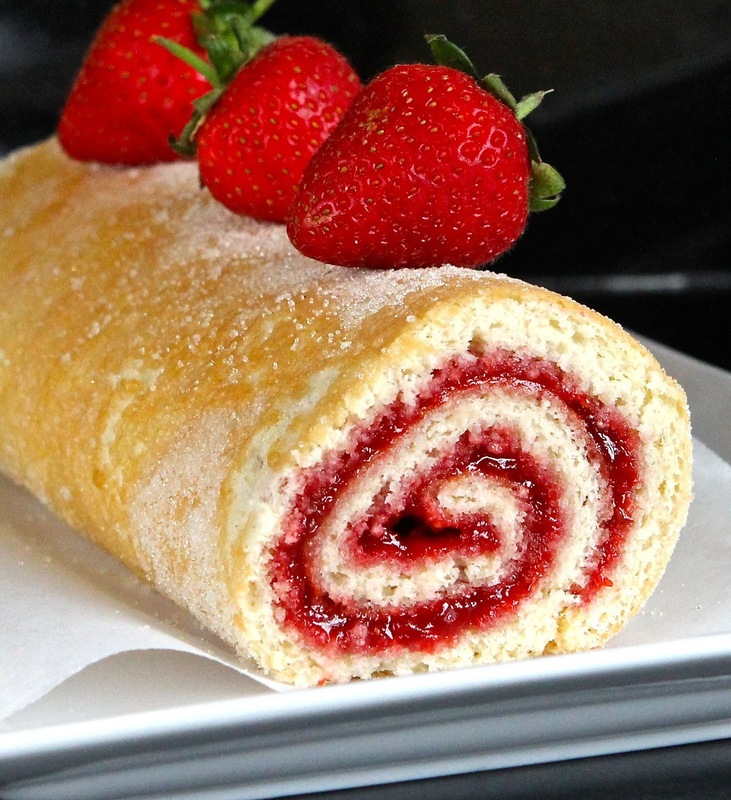 What a terrific looking Swiss roll - I can't believe you managed to make it gluten-free and still get it to roll up so perfectly. Amazing! Thanks Helen. I couldn't believe it either.... but I'm very chuffed with it!! How well does this freeze. I'd love to make this 3 weeks in advance.